At Woodburn Pediatric Clinic, we are committed to providing the best care possible. We work with infants and children who experience feeding difficulties, weight gain or loss, obesity, or food allergies throughout the greater Portland, OR area. For interested families, we offer a 6-week nutrition program to teach practical food choices and food preparation. Call us if you would like to register for this class. Our pediatric nutrition services also educate families on healthy eating habits for kids, how to feed fussy or picky eaters, and offer resources for making healthy snacks and recipes that give your child the nutrition they need. 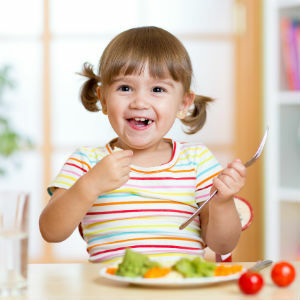 With proper nutrition, your child will have the energy to grow, learn, and be active. 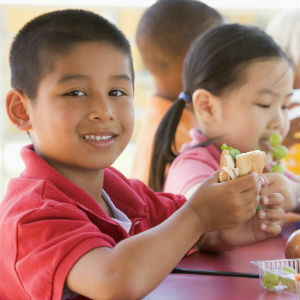 Diet and exercise are the building blocks for strong growth, healthy development, and lifelong wellbeing for children. Approximately one in six households have children that are at risk of going hungry or not eating enough healthy food, while 30 percent of children do not achieve the recommended 60 minutes of daily exercise. At our clinic, we encourage healthy behaviors to help children focus and learn, fight off sickness and diseases easier, recover quickly from illness or injury, and reduce the risk of diabetes, celiac disease, bone cancer, and more. By teaching and encouraging healthy eating habits from a young age, your child will be given the tools for a lifetime of healthy living. If you are concerned about preventing food allergies or managing pre-existing ones, we can help prepare you for an allergic reaction or symptoms of a food allergy. If you are concerned or would like to know more about child nutrition, please don’t hesitate to contact us at our clinic. We serve the Woodburn community as well as the surrounding Salem and Portland, OR areas. Give us a call today to learn more!